When selecting a copy data management product, the number of available options may seem daunting. Discover how to compare products to get the one that meets your specific needs. technology continues to gain popularity, comparing copy data management vendors has become more complicated. How can an organization decide between one offering and another? Cost is a factor, but here are five other criteria that should be considered. Copy data management reduces storage costs by eliminating the need for multiple data copies. Because copy data management works off a single, centralized data copy, that data copy can become a single point of failure if the data becomes corrupted. Ideally, copy data management vendors should include an option to create a secondary data copy (preferably replicated to a remote data center) that can be brought online and used in the event that something happens to the primary data copy. How is the initial copy created? Presumably, the software will use a discovery process to locate an organization's data, but there are two important considerations with this process. Does the discovery process create a significant amount of storage overhead? Some copy data management products require the database to be copied or moved to an alternate location (thereby temporarily increasing storage consumption), which can cause problems for larger databases. How does the software deal with similar data? If the discovery process finds nearly a dozen identical copies of a file, does the administrator have to flag one copy as "correct"? Does the software keep every copy? 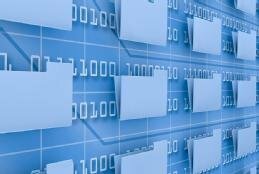 Does the discovery process work at the storage block level, thereby eliminating the need to differentiate between file copies? It is important to understand how the software determines which data is redundant and which data is not. Are there any hardware requirements or limitations? Some products from copy data management vendors are designed to interact directly with an organization's storage. For such a product to work, the organization's storage must be compatible with the copy data management software. Copy data management products designed to be storage-agnostic might instead work at the operating system level or hypervisor level. While this approach eliminates the issue of storage compatibility, a product that interacts directly with the storage appliance may have a performance advantage. Does it work with the cloud? It is becoming increasingly common for organizations to store data both on-premises and in public clouds. Although public clouds are often said to provide "unlimited storage," most public cloud providers charge customers a monthly fee based on the amount of storage they use, among other factors. Because of this, data reduction technologies, such as copy data management, could have a tangible effect on cloud storage costs. What are the reporting capabilities? It is tempting to dismiss a copy data management product's reporting capabilities as relatively insignificant. However, it is important for administrators to be able to monitor storage consumption and storage performance. There are numerous copy data management products currently on the market, and each has its own nuances. It is therefore important to consider which features and capabilities would be the most beneficial to your own organization prior to evaluating copy data management vendors. Could copy data management replace backup? What are your top criteria when evaluating a copy data management vendor? If you're looking for a copy data management product -- and who isn't? -- you'll need to know what to look for in a vendor and what capabilities to expect. If you're looking to reap the benefits of a copy data management product, it's important to keep in mind the limits and possible risks involved with the technology. Creating copies of data is a tried-and-true method of data protection, but the number of copies can quickly get out of hand. Copy data management is one way to combat the issue. Scalability, RPO/RTO and Virtual data creation are the 3 criterion in my view?